Get 2019's the greatest web hosting service with unlimited web host features & free domain name in Japan! Say no to limits, go for the best with Unrestricted Disk Space, Bandwidth & the best live Support. Unrestricted, quality web hosting is possible & we are providing it. Japan hosting market has never seen prices as low as Hostinger's. We have made ultimate quality, premium web hosting features and incredible live chat support available with the lowest prices possible. Be smart and start saving today! Hostinger's dedicated 24/7/365 live support is here whenever you need. Get the hosting from Japan's best provider. No limits - no worries! Host your own website without any limits and experience true cloud web hosting technology that grows with your website. You don’t need to break the bank to get top-class web hosting services - choose premium quality cheapest website hosting with the best price in the industry! Our Customer Success team will assist you live at any time 24/7/365. The lowest price for the highest quality web hosting features. Approved by over 29,000,000 clients, Hostinger is the leader of cheap web hosting and is 2019’s Best Web Hosting provider with the balance between quality and web hosting cost. Even free web hosting service provided by Hostinger, dedicated to beginners, is the first cloud-based free web hosting platform and the most popular free web hosting service worldwide for over a decade.. For your success, choose the best. All-in-one, everything you'll ever need to start, host and manage your successfully growing website. Unmetered and almost unlimited web hosting with tons of high-quality cloud features. Everything is limited in this world, but not with Hostinger. All Premium & Business web hosting plans are packed with almost unlimited SSD disk space & bandwidth for your website. You'll be able to host almost unlimited number of websites, MySQL databases, Email accounts & FTP users. Save smart & keep your budget tight. Go with the unique cheap web hosting, provided by the leaders of the high-quality web hosting at a low cost. Only at Hostinger, you will get the same or even better website hosting quality than anywhere else, but for the most affordable price. 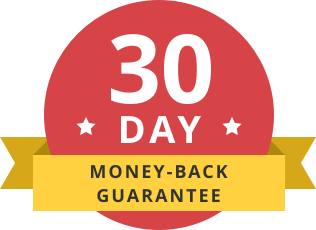 Unlike well advertised web host companies who change renewal prices up to 500% after the first year, we offer you the best price with our Loyal Customer Guarantee Program for web hosting & domain renewals! Get free domain hosting with Premium & Business website hosting plans. This is the cheapest way to launch your website with all-inclusive package and save even more. Hostinger is a certified ICANN member and is able to provide you free domain hosting & free domain deals. For the best security & SEO rankings, go with the Business web hosting plan and you'll get a free SSL security certificate that will help you operate visitors' data or an e-commerce website with no security worries. Select any web hosting plan and get the best free Website Builder with it! Build your website like a pro with no technical or code knowledge, simply by using the best drag and drop interface of our free website builder. You’ll be able to browse and select from hundreds of free website templates, designed by famous web artists. All websites that are built with our easiest Website Builder are SEO friendly, eye-catching and easy-to-use. Everything you need from zero to a well designed website. Your WordPress website or blog speed is the one of the most important factors needed to succeed. Thanks to our unique WordPress Cache optimized servers, Hostinger is able to achieve industry’s fastest WordPress website speed for the most affordable cost. Let us help you start a quality WordPress website, without breaking the bank! Go with the cheapest WordPress hosting & speed up your website or blog without overpaying. WP also runs up to 50% faster with our full SSD storage.